In this tutorial we will see how to use quick sizer tool to perform sizing for HANA system. Quick sizer helps us to calculate the CPU, memory, IO and disk. We need to specify the below parameters to the quick sizing tool to perform sizing. Below sizing methods covers all the possible ways to perform sizing. 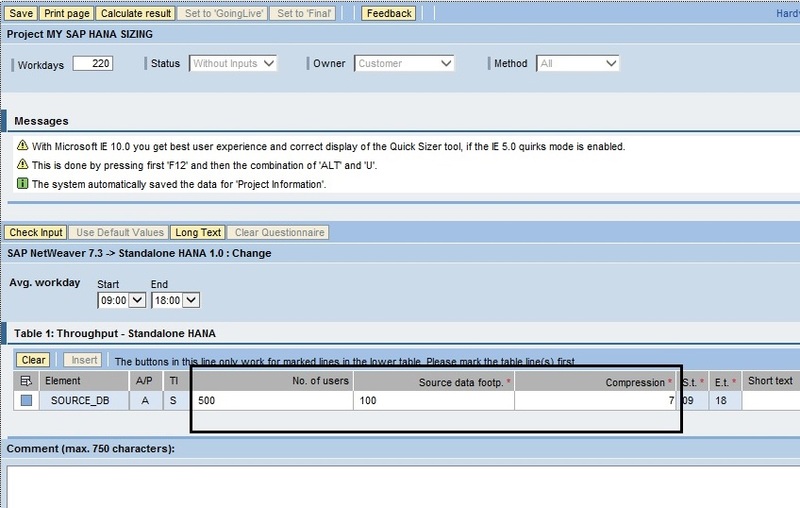 Compression parameter will help us to compress the data before loading the data into the HANA Memory. In the above screenshot you can able to see the CPU category mentioned as T-shirt size (XXL). 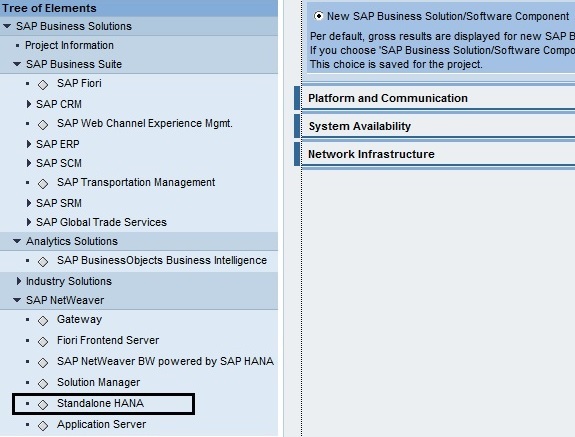 In the next tutorial we will see how to perform the HANA installation in the Landscape.